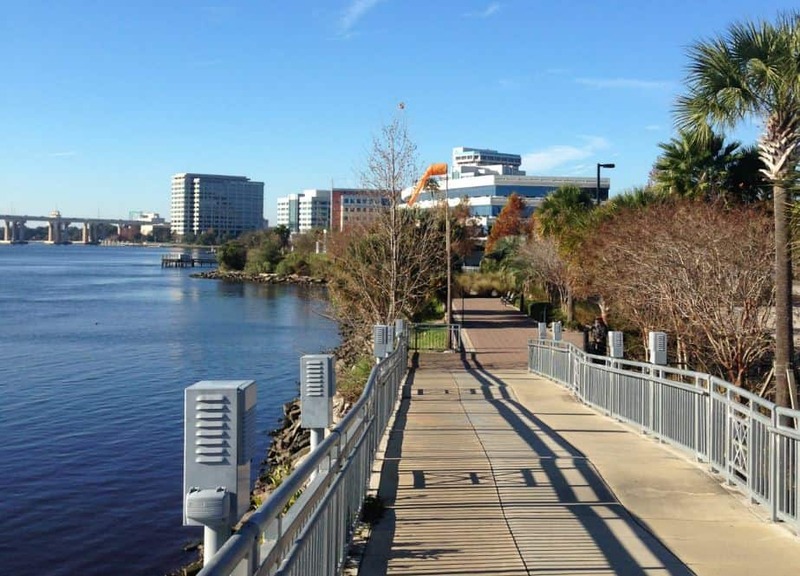 Why should you move to Jacksonville, Florida? In addition to warm, sunny weather and being under 3 hours away from the Happiest Place on Earth, Jacksonville has a vibrant downtown, lots of local businesses and a lower cost of living than the national average. This intersection of opportunity and great living choices has made Jacksonville a top choice for millennials; in fact, Forbes Magazine named Jacksonville the #2 top city millennials are moving to in 2018. Jacksonville is a pretty big place, with a total population of more than 850,000 people. So if you’re thinking of moving here, you’ll need to explore the city’s many neighborhoods to find the perfect spot for you. That’s where we come in. This handy Jacksonville neighborhoods guide will show you the inside scoop on some of Jacksonville’s best neighborhoods for millennials, giving you a head start on finding your ideal community. Housing Options: 1920s houses, bungalows, and brownstones, mixed with newer apartment complexes and condominiums. Why We Love It: Not only is Riverside a short commute from Jackson’s top employers; the community is super walkable, and has an eclectic mix of old and new, with early 20th century homes and fresh, new storefronts. Plus, the low median rent offers amazing and yet cheap places to live in Jacksonville, making it neighborhood choices to millennials. What to do in Riverside: Hungry? Riverside has some top Jacksonville places to eat. Stop by Hawkers Asian Street Fare for classic, family-style Asian cuisine. If you’re craving a modern twist on all-American food, try the Black Sheep Restaurant. Not only is their food amazing– it’s also locally sourced! And when you need to walk those calories off, you’ll find Riverside Park just steps away. Housing Options: Mixed-use developments, with apartments, historic buildings, and corporate offices side-by-side. Why We Love It: Thought Brooklyn was a New York thing? Think again! Jacksonville’s Brooklyn neighborhood is one of the top Jacksonville neighborhoods because of its central location in Jacksonville’s business district. For Jacksonville’s young professionals, that means you won’t need a car to get to work, and your commute time minimal! What to do in Brooklyn: If you take a gander at your Jacksonville neighborhoods map, you’ll see that Brooklyn is ideally situated along the banks of the St. John River. Just steps from your door, you’ll hit the Northbank Riverwalk, which runs from Riverside to Berkman Plaza and offers the perfect place for a morning walk (or jog, if you’re into that). If you’re looking for a place to eat, the Burrito Gallery is a local favorite and features rooftop dining so you can unwind under the stars after a long day of work. Housing Options: Single-family homes from every decade of the 20th century, and some new constructions! Why We Love It: This is the perfect neighborhood for Jacksonville millennials in the workplace who want to buy their first home, are thinking about having kids, or want a quiet escape from the hustle of Downtown. Homes here are on large lots up to a full acre, and the quiet vibe makes it one of the best places to live in Jacksonville for families. 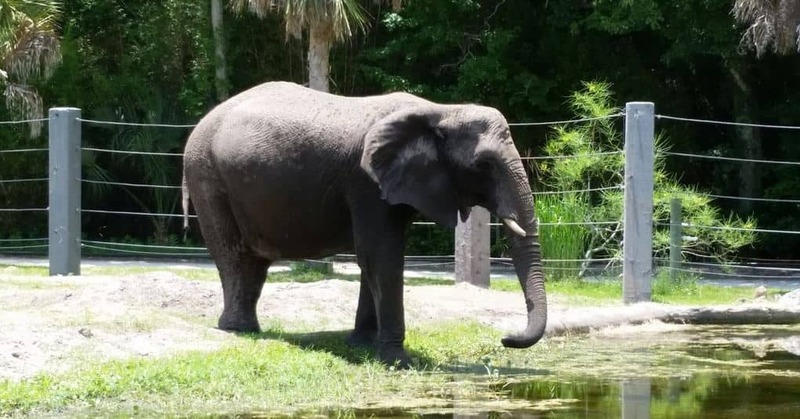 What to do in Northside: Northside is conveniently located to one of the best places to visit in Jacksonville: the Jacksonville Zoo and Gardens! Home to hundreds of animals, this is a perfect outing whether you’re with your kids, or just really want the opportunity to pet and feed stingrays. Northside residents are also close to Huguenot Park, which features a playground, playing fields and a three-acre lake that is always stocked with fish! 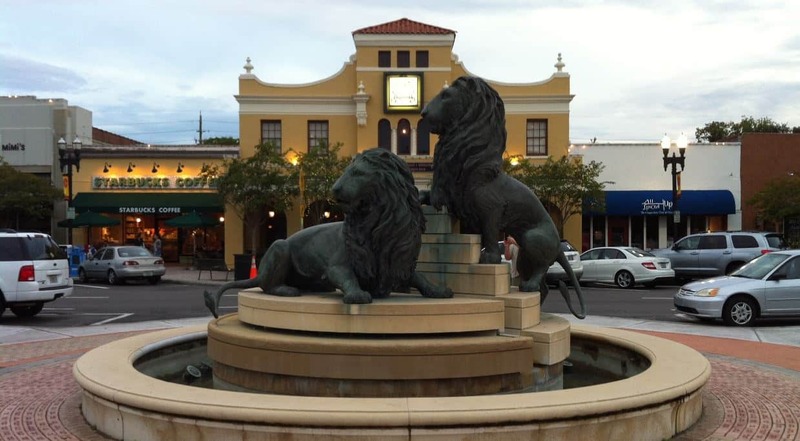 Housing Options: The neighborhood was built in the 1920s and emulates classic Italian piazzas, complete with a fountain of lions. Apartments and townhomes are available in historic buildings. Why We Love It: Step out of America for a moment when you enter the San Marco neighborhood. The gorgeous central square is surrounded by upscale art galleries, boutique shopping, and some of the city’s top eateries. In addition to being a great neighborhood for singles and young couples, San Marco is a Jacksonville center for gay culture, and the LGBTQ community here is thriving! What to do in San Marco: San Marco is one of the best Jacksonville neighborhoods to visit if you’re looking for arts & culture, with a Sunset Boulevard-style shopping scene. For an upscale dining experience, the French-inspired cuisine at Bistro AIX can’t be beaten; the menu features everything from classic homemade pasta, to incredible salmon and smoked chicken. If you love the performing arts, be sure to catch a show at the historic Theatre Jacksonville while you’re in the area! Moving to Jacksonville is a great idea if you want to escape the snow up north, work for any one of the city’s amazing companies, and be part of neighborhoods that are constantly growing and evolving. From Northside to Brooklyn, there’s a perfect Jacksonville neighborhood for every everyone. At Move Matcher, we understand moving comes with a lot of stress and a huge to-do list. Take the burden off your shoulders by finding the perfect moving company in Jacksonville using our find and compare tool! Want to check out more amazing millennial communities? Explore our neighborhood guides to Las Vegas, Seattle, Tampa and Orlando, and you might just find your next hometown.